Verdant fairways and lush greens are hallmarks of the renowned golf course located within the gates of Sun City Peachtree ®. 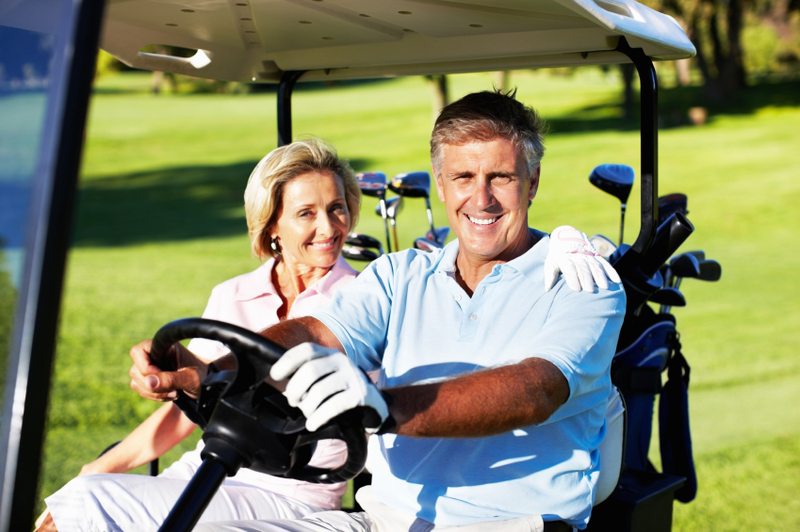 While all residents of this Del Webb ® community have the opportunity to enjoy the links, few relish in the grandeur of actual golf course homes. A variety of lot styles allow for different experiences. For example, some of the golf view home are considered “walk outs”, and grant homeowners the ability to literally walk directly onto the holes they overlook. Other Sun City Peachtree ® homes are perfectly positioned on bluffs and ridges, allowing panoramic views of the golf course. Golf front home sites are a luxury, and their availability is finite. 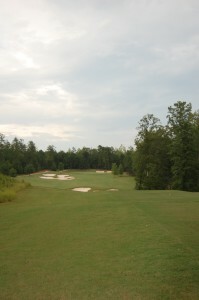 Sun City Peachtree ® offers premium lots with either full, unobstructed views or partial golf course views. Expansive vistas of manicured greens, naturalistic roughs, and clear water features are available. Privacy and a feeling of an expanded space are both benefits of the golf course homes in the Sun City® development. The golf views of these magnificent homes beckon, and entertaining on the rear lawn is a treat. Barbequing with neighbors and friends, private dining al fresco, sipping cocktails on the screened porch or patio – all of these activities become even more rewarding when they are enjoyed with the pristine scenery showcased from a golf front home. When Gary Stephenson designed this course, he took several important details into consideration. He wanted the 18 hole, par-72 course to be visually pleasing from both the course’s interior and exterior. In other words, his goal was for the nearly 7,000 yards to be enjoyed and appreciated by both golfers and onlookers. Smartly created to flow with the rolling hills and towering trees, the Sun City Peachtree ® golf course provides the perfect canvas for its golf front homes. 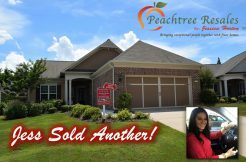 While they do not frequently become available on the real estate market, Jessica Horton is always keenly aware of the currently listed Sun City Peachtree golf course homes. And due to both her volume of listings and her established relationships in this Del Webb ® development, Jessica often knows of available (or soon-to-be available) golf course homes that are not even listed in the official MLS system. One of the great things about living in an Active Adult community is: that there's always so much to do, see, and enjoy! Residents never have to limit themselves to just one activity or experience; there's always another avenue to explore. The same is true for home buyers who are entertaining the possibility of purchasing a home inside one of the popular Active Adult neighborhoods in Georgia. As a buyer, you don't have to limit yourself either!